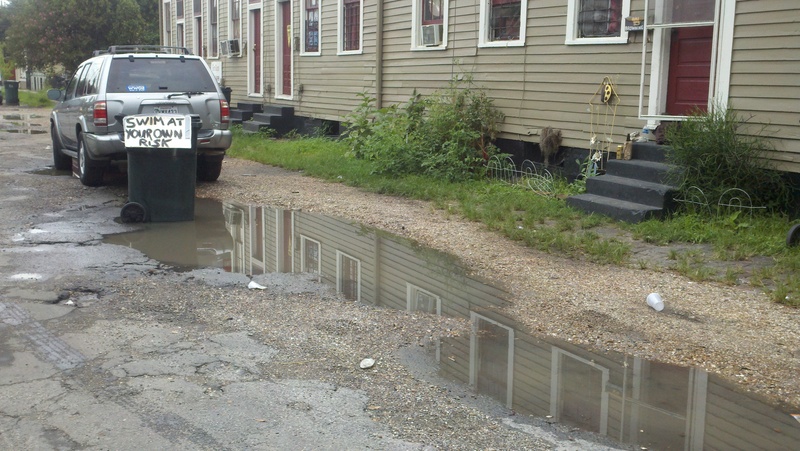 New Orleans is infamous for its flooding. But I’m not sure if people realize the affect even a brief storm has on the city. The city’s roads are among the worst in the nation, so you need to watch your step following the daily summertime showers or you’ll end up in a pothole puddle. This picture was taken on Bordeaux street, by our old sublet.